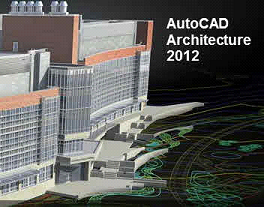 Our instructor led, videos are designed to teach you the AutoCAD Architecture 2012. Our Training course is designed to teach Architects a more efficient way of working in the AutoCAD Architecture 2012 software environment. Learn the features and functions of Autodesk’s latest software for Architects. Create building designs and construction drawings, extract views and annotate models, use and create content and work in the drawing management system. You'll learn the basics to the advance levels during your training. Utilize our training to help design and shape the world around you by using one of the world's leading CAD programs. Explore ideas more intuitively in 3D, speed documentation, share ideas seamlessly, and customize for your specific needs. This program will help you learn features and functions in AutoCAD Architecture 2012 to create a building design from scratch and work with 2D and 3D models. Lessons cover several basic and advanced topics including building geometry, sections and elevations, components, and the drawing management system.